This spring, you deserve to escape the patterns even when you decide to relax! In the largest mall in Romania you’ll find exactly what you need: a perfect journey for you to pamper just the way you like and a special prize that awaits you at de finish line. 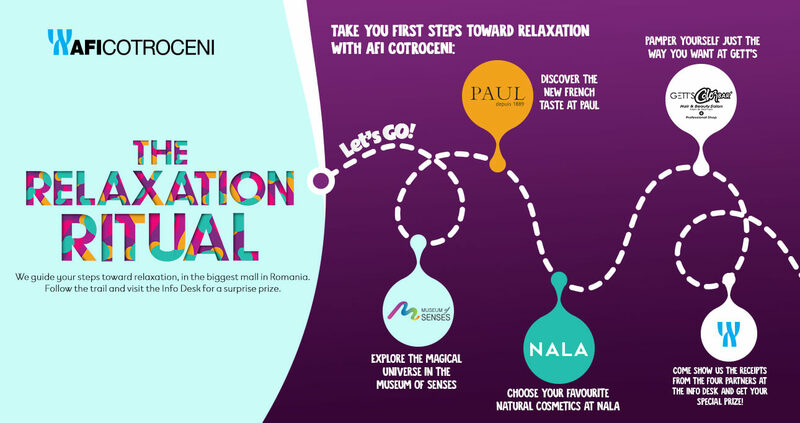 Enter the magical world in the Museum of Senses and explore you senses like never before, enjoy a snack or a brunch with a French twist at PAUL, pamper yourself among the special natural cosmetics from NALA and last but not least, relax while you get a look update at the GETT’S salon! 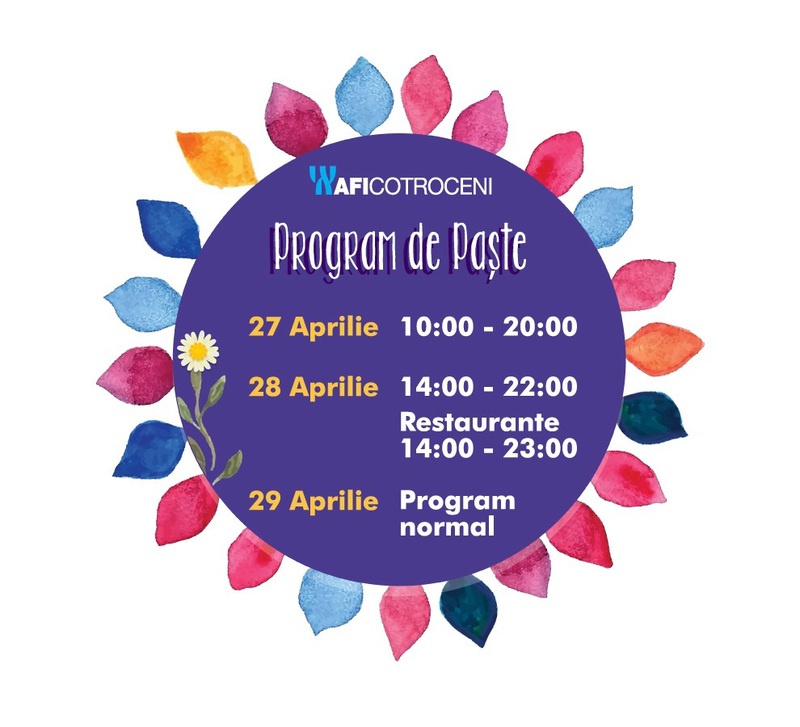 Come show us the receipts from the four partners at the Info Desk in AFI Cotroceni (FAR entrance) and get your special prize! Campaign period: 20th of March– 31st of May 2019. More details in terms & conditions of the campaign.